We surely tend to think of ourselves as rational animals. We face choices and choose the best. In such cases, we usually think of Spock from the Star Trek. However, in real life it’s the myth to profit from. It is used in what is called a choice architecture; it is used by bookmakers and FOREX brokers. Regular readers of my blog know what the somatic marker hypothesis is, and why it so clearly shows why humans are irrational. I’ve already dealt with that in my articles on “How we can make fans think in a predictable way” and “Why people are irrational and how it can be used in sports“. I recommend reading them, because they contain important theoretical information, which I omit here because I’ve written on that before. This post treats the issue differently. Without neuromarketing, without hormones and without evolutionary psychology. It’s a behavioral economics. In classical economics, everything is logical. For instance, the life-cycle hypothesis. What a simple life a human has unfolding, according to this hypothesis. There are no emotions changing life radically, there are no “black swans”, all seems to come from American serials of the era that Mitt Romney drew his image from. But in reality we surely are confronted with the fact that our brain is arranged in a completely different way. And if we really were rational, we would simply not be able to survive. Even if we just try to imagine physiological changes that can meet our ideas about ourselves as extremely rational individuals, the laws of physics will simply not allow the existence of such a thing in our universe. Too great a processing power, too much power consumption. But we are now talking about how you can use such ideas of yourself. Let’s start with illustrative examples of how it is already being used. First let’s consider the examples having not the best of reputation. Here is a commercial from FxPro which is actually very good. It will not get the Cannes Lion, but it has completely different goals. This commercial has emotions and the myth of human rationality mixed up. Regular readers of my blog are familiar with the fact that commercial is divided into emotional, logical and mixed. Emotional commercial is twice as effective as logical one, while mixed commercial is a bit inferior to emotional one. The following commercial can be attributed to the mixed one. I studied in detail the target audience of FOREX brokers, so I can say that in this case it just hit bull’s-eye. Yet more emotions could have been added as well. I’m not aware whether this company tested this commercial using neuromarketing tools, but it looks pretty high-quality. This topic was developed by another FOREX broker – XTB. In addition to its being a mixed commercial (subjectively, it is less professional from the point of view of neuromarketing than the FxPro commercial) and similarly referring to the myth of human rationality, Mads Mikkelsen is shooting the commercial. In the case of FOREX brokers, the participation of such a star is a symbol of reliability, which, I am sure, significantly added to their clients. But I would not advise the stars who value their reputation to get involved with FOREX brokers. I would not advise it to football clubs either. FOREX brokers’ clients get a lot of negative emotions that will be associated with your brand. In the long term, you will pay for such cooperation more than you earn. You can come across similar examples of commercials among betting companies. Now let’s consider the instances of exploiting the myth of human rationality in other cases. 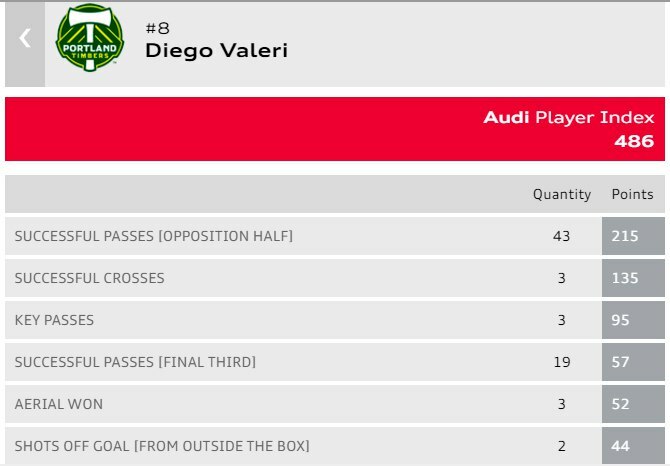 For example, Audi activates its sponsorship with MLS using statistics for geeks. It’s called the Audi Player Index. It does not look that clear at first sight, but Audi likes to use this strategy not only in a specific case. This is just an element of positioning of Audi. They approach their positioning in a pretty serious and peculiar way. If you get a chance to communicate and work with Audi marketers, do not miss it. So we approached VR and AR marketing. We’ll skip examples, since the examples are all around. I’ve already described my opinion on VR and AR. In the context of today’s topic, I can say that VR and AR are a great way to position your brand in the right direction, and that’s all. How can you make money in sports on the myth of human rationality? I’ve already written about bookmakers, now we’ll talk about clubs and leagues only. You’ve indicated that there is a segment of people who are most strongly convinced of their rationality. You can further subdivide it into subsegments, then use small data and build an appeal to each segment separately. But in general, an excellent example was provided by Audi. It is necessary to make sufficiently detailed statistics, which will very clearly separate a particular segment from the others. The rest of the segments will probably not even realize that this separation is occurring, but it is what works very well with this very segment. It serves as an indication for them that you are highlighting them against the background of the others. Not to enlarge this post manifold with the theory from sociology, evolutionary psychology and neuroscience, I will give a simple example of how it works with humor: a person claiming a higher intellectual status will look for humor that will contain jokes with logic that will be understandable only to a certain group. And the person gets pleasure from being able to unravel this logic. Do you want us to develop a strategy exclusively for you, help you with applying it, or just consult you? Write to E-mail leon@sportsneuromarketing.com, and we will contact you within 24 hours.